"Dip powder" is a type of manicure that lasts longer than gel or acrylic nails. The nail is dipped into a colored acrylic powder after it is buffed and primed. Then, a sealing coat is painted on top of the powder. These dipped nail manicures can last for up to a month, but nail dipping isn't without its downsides. Dip powder goes on thick and doesn't come off easily. The buffing and filing that's necessary to remove it can weaken and damage your nails. Also, some removal processes requires a long soak in acetone (aka nail polish remover). This can irritate skin and cause liver damage, if inhaled. There are also questions about whether long-term exposure to nail powder is safe. An exposé by The New York Times suggests that inhaling nail powder can damage the lungs. Unfortunately, the nail dipping trend is too new for doctors to offer safety guidelines. In fact, there is still medical disagreement about whether the UV lamps used during gel manicures can cause cancer or not. Trends move faster than research. This nail dipping kit comes with clear and useful instructions, according to (mostly) happly Amazon customers. Many reviewers say that the included brushes get dry and clumpy quickly. A brush softener is included. Some customers were disappointed with the kit and angry that it cannot be returned. 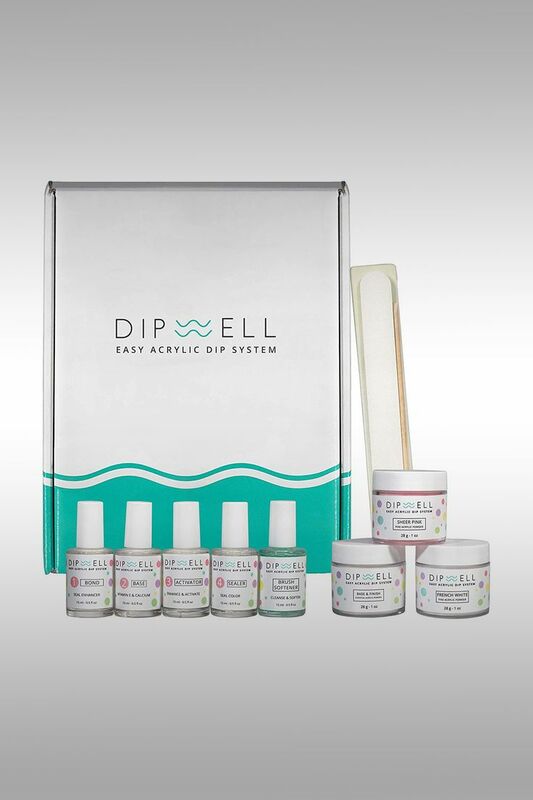 Several Amazon customers praised this nail dipping kit, but many reviewers (even happy ones) say that the colors in this kit aren't like the ones depicted in the photos. Some customers bought this kit for a specific look and were not able to achieve it; others say that the powder didn't stick to their nails.